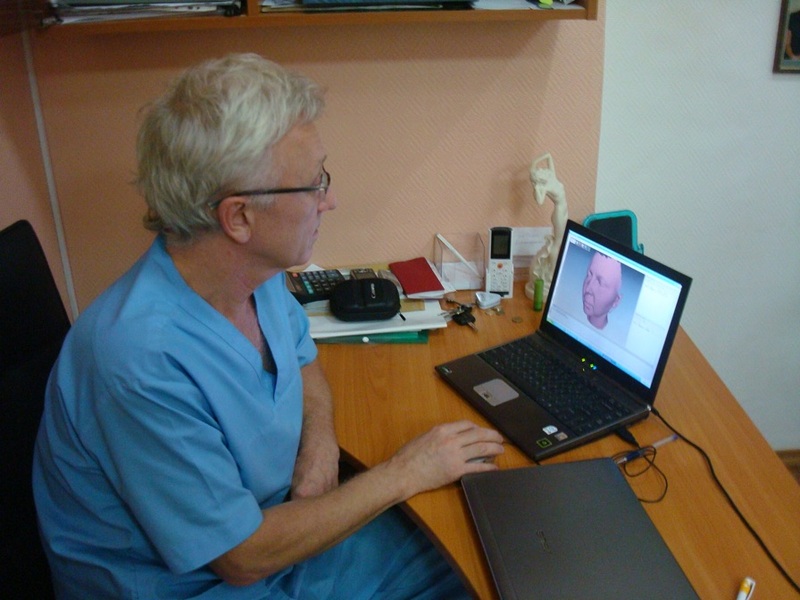 Dr. Andrey Guryanov was the first plastic surgeon in Russia to use Artec 3D scanners in the field of maxillofacial surgery and research. Recently, we had a chance to spend an afternoon with him and learn the ins and outs of his field and how he uses Artec technology. Dr. Guryanov told us that he has always been fascinated with trying to implement modern technology into the practice of medicine. He stumbled upon Artec almost by accident and was intrigued by a high-tech company that had roots in Russia. Having purchased a scanner, he and his partner firm, Bonaforma started experimenting. Bonaforma is a software service provider which developed tools to help plastic surgeons visualize the end result of any particular surgery. Moreover, the doctor started using the scanner in his research, trying to pin point reasons for why a patient’s chin sometimes takes a different shape than the shape of the implant. Primarily, though, Dr. Guryanov uses his Artec scanner in the design and development of custom implants, as well as showing expected results to patients. Patients appreciate being involved in the process, while custom implants are superior to the “one-size-fits-all” implants because they better contour the patient’s natural curves and are appropriate in size and form. Moreover, custom implants cause less damage during setting and significantly decrease the risk of displacement after the procedure. Before working with Artec scanners, the doctor used a “home-made” 3D scanner which consisted of two photo cameras mounted on tripods. This method of digitalization took a lot of time, so often the doctor didn’t even bother with it. Thus, he is most impressed with Artec’s speed of shape acquisition, easy to use software and the fact that the scanner is handheld. When he first started using an Artec scanner in his daily work, the word spread. Patients heard of this novel method of seeing results before the actual surgery and started to make appointments for consultations. Doctor Guryanov didn’t specifically advertise this technology, but patients found out through word of mouth. Patient comes in for a consult. Doctor explains the procedures in detail. He then scans the patient: a 360 degree scan of the neck, face, chin, and forehead. One scan takes approximately 30 seconds and that one scan is enough. Post-processing in Artec Studio takes a few minutes. Export of scan into Bonaforma software, where a Bonaforma technician works with the doctor and patient. The patient sees in real time, how his/her face can be changed. Using the 3D simulated image, the doctor and patient settle on the specifics. Patient is sent to do a CT scan. Every person is different, so the doctor has to know where and how the soft tissue is positioned. 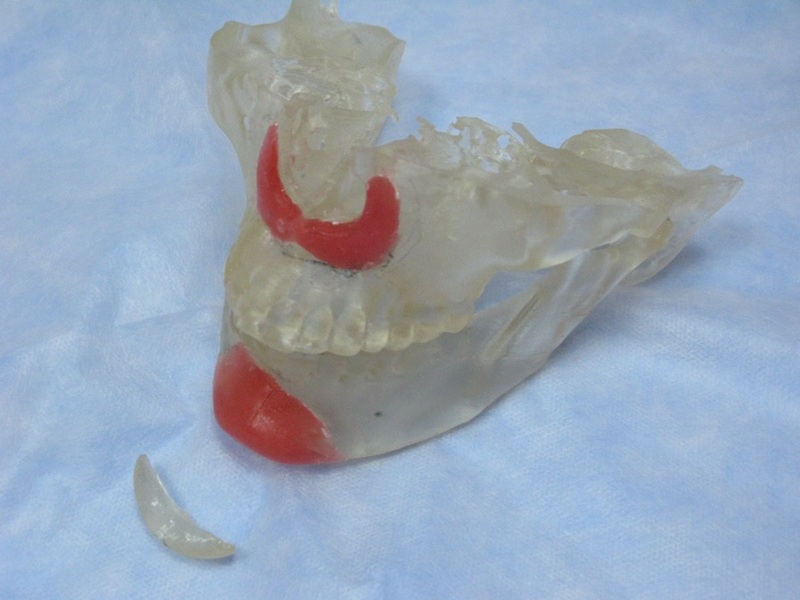 This will affect the exact shape of the implant. A silicon implant is designed by the doctor and prepared at a lab. 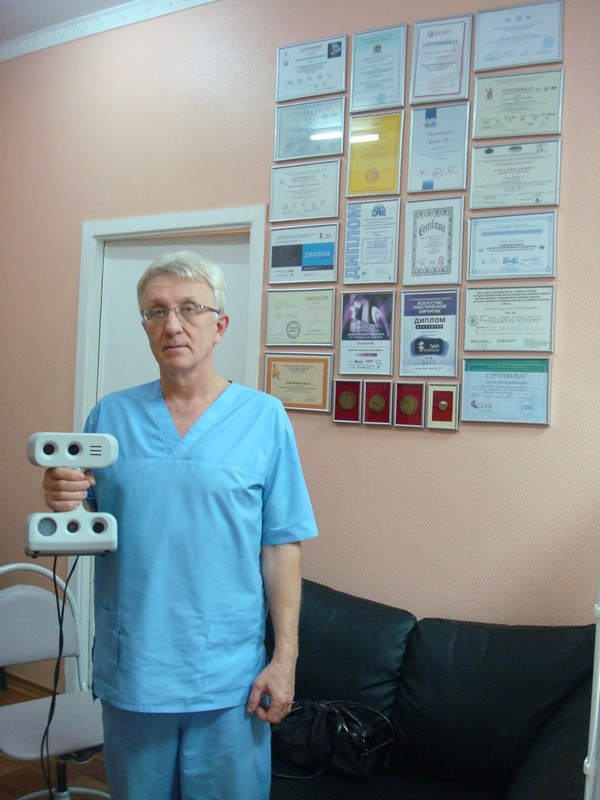 Doctor Guryanov, also shared a few stories with Artec. He was at a professional conference advocating the use of 3D scanning technologies in maxillofacial surgery. Some of his colleagues had reservations about introducing new methodologies into their daily work. One colleague in particular was adamant and proclaimed that 3D scanners are a luxury and good results can be attained without fancy equipment. A few weeks later, a patient of that particular surgeon came to see Dr. Guryanov because she was unhappy with results of her surgery. When asked about what other features he might find useful, Dr. Guryanov said that it would be great if you could move the source of light in Artec Studio. This would make it easier to show certain aspects of physiology to the patient. We thank Dr. Guryanov and Bonaforma for spending time with us and have added his request to our Software Development plan.